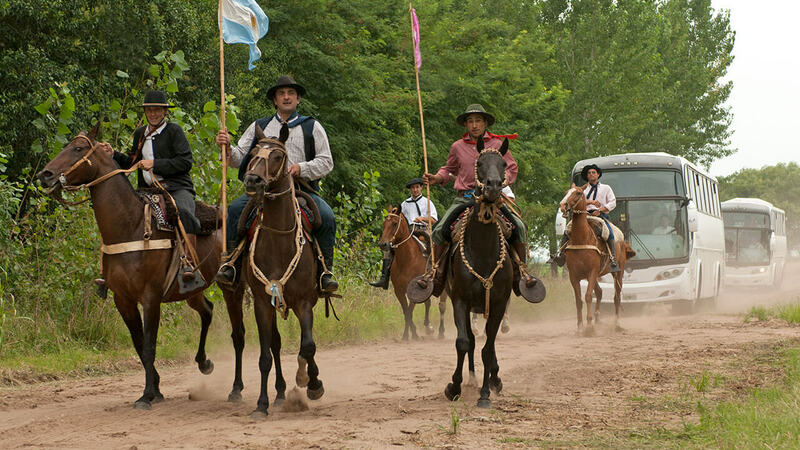 With the help of our local team of professionals, we offer an extraordinary experience which will allow you and your team to discover, over the course of one or more days, the Pampean culture of the gauchos. For between 20 and 200 people – Perfect from September to April. Our small town, which is full of history, was declared the National Capital of Tradition by the Argentinean Congress in 2015. Located in the heart of the Pampas, one hour’s drive from Buenos Aires, its quiet and safe streets are dotted with historical monuments and colonial-style buildings, which give San Antonio de Areco a unique charm. Its many craftsmen, all with various specialties, are internationally famous. 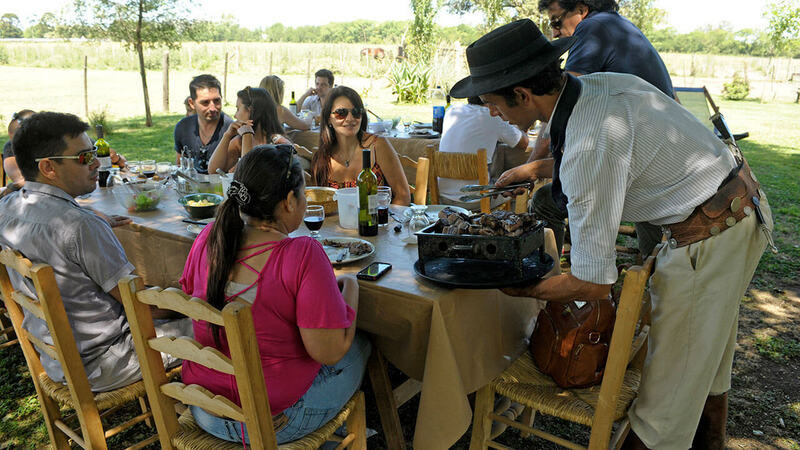 Areco’s traditional and diverse cuisine also attracts gourmands with the most discerning palates. We are convinced that San Antonio de Areco is, in every way, the most attractive town in the province of Buenos Aires! So let us guide you! 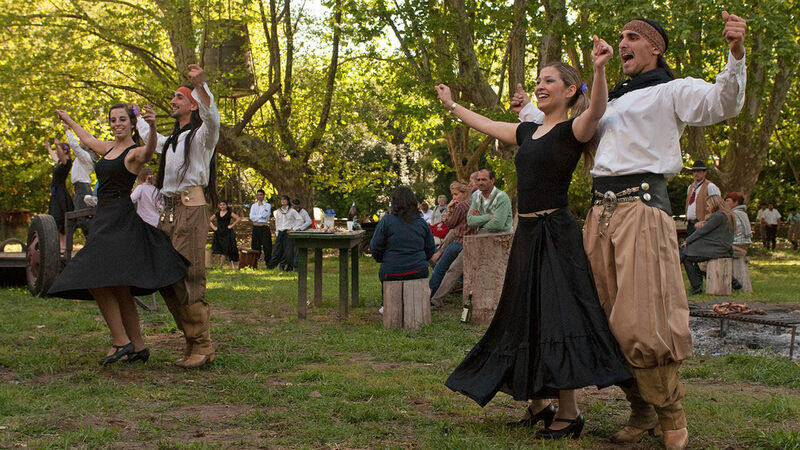 Areco Tradición, the only travel agency based in San Antonio de Areco, creates lively and varied programs specifically designed for companies. To promote social connections within teams. To develop internal relations by helping to foster a strong company identity. To reward and motivate staff to improve productivity. Provide a space for the exchange of ideas and new concepts. 9am | Private bus transfer from Buenos Aires. 10:30am | Our guide(s) will meet you in San Antonio de Areco and take you on a tour of the historical center; including the main square, the pulperías, the church, silversmith artisans’ workshops and the Ricardo Güiraldes Gaucho museum. 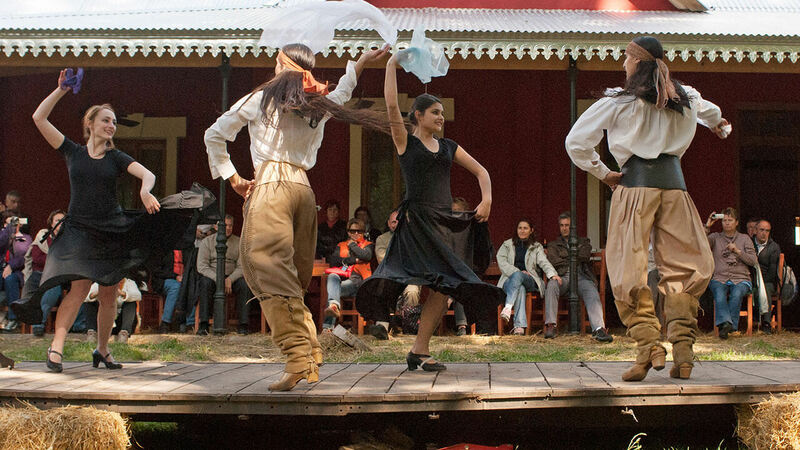 12 noon | We’ll arrive at an authentic Estancia of the Pampas. You’ll have the whole estancia for yourselves, and your team will be welcomed with homemade empanadas and cold drinks. 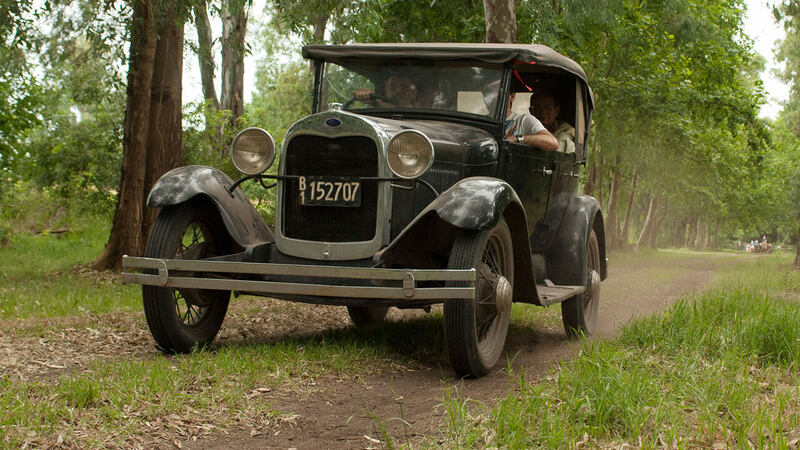 We’ll then take you on a guided tour of the Estancia. The following activities will be available for your team to choose from: horseback or carriage ride, a football match, swimming in the Estancia’s pool. These activities are the perfect time for your team to bond and get to know each other better! 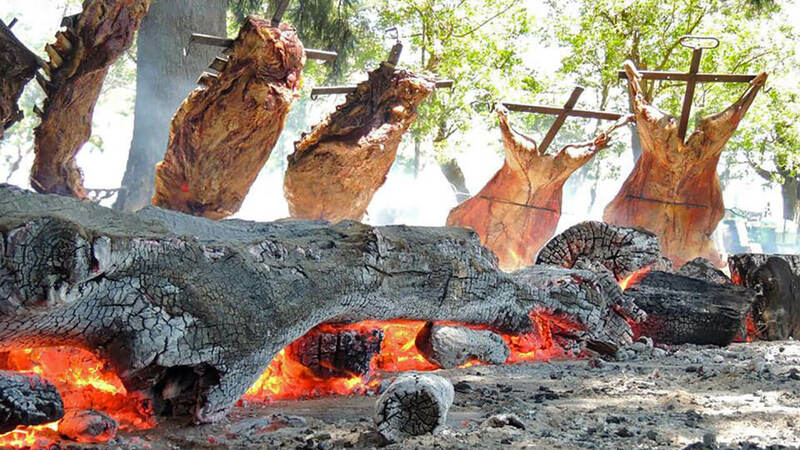 1pm | We’ll gather around the table for a typical Argentinian lunch: a delicious asado (array of premium grilled meats) with salads and drinks. This will be followed by dessert and coffee. 3pm | Time to watch and participate in a show of traditional local music and dances. 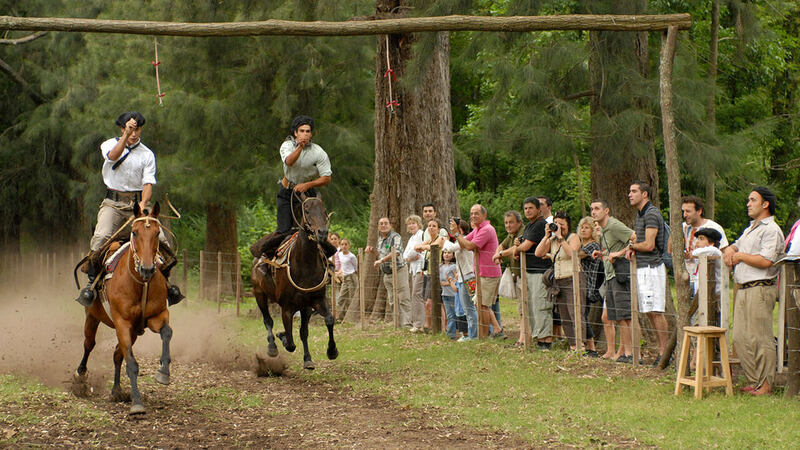 After lunch, you will also be treated to a display of the Estancia’s Gauchos’ famed equestrian skills. 4:30pm | Leave for Buenos Aires. Do you have an idea in mind? An upcoming incentive project for your team? Send us a message! We offer incentive travel in the heart of the Pampas, for companies wishing to carry out team building activities or to reward and motivate their employees.